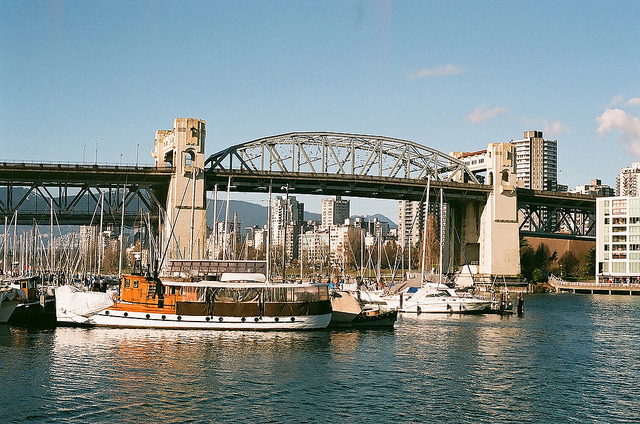 ICLEI Member Vancouver recently took a huge step towards becoming a fully sustainable city, with its City Council voting for the long-term goal of deriving 100 percent of the city’s energy from renewable sources. Vancouver joins a number of other cities, including San Francisco, Copenhagen and Sydney, in making this ambitious target a part of its urban planning. This also constitutes the first target of its kind for a Canadian city. Vancouver is well-set to pursue a 100 percent renewable future. It is internationally-recognized as a leader in sustainability thanks to its Greenest City Action Plan, which was passed in 2010. And it has already set out on the path to a cleaner future: thanks to its initiatives, Vancouver has experienced a six percent drop in emissions since 2007. Vancouver, courtesy of Colby Stopa via Flickr. Currently Vancouver produces 32 percent of its energy from renewable sources. The target is therefore challenging, but with the right long-term plan, Vancouver’s government is confident that it is achievable. Vancouver’s decision is the latest in a series of moves by local governments, foundations, companies, and national governments that point towards a future based on renewable energy. This transition is fundamental to our chances of keeping climate change to manageable levels. At the end of this year, national delegations will meet in Paris for the UN Climate Change Conference (COP21) in an attempt to agree measures that will restrict global warming to two degrees celsius. We know now that we cannot burn the fossil fuel reserves left in the ground if this target is to be met. We must therefore optimise the clean energy sources that are available in abundance: solar, wind, water. Much debate around the issue of renewable energy highlights the difficulty of optimising these sources to provide the energy that a growing global population will require. However, we have yet to throw all our ingenuity and energy into this challenge. If we can make the transition to renewable energy the priority of all of the brightest and most dedicated individuals in every city around the world, there is no limit to what we can accomplish. Already, local governments around the world are proving that 100% Renewable Energy is viable and beneficial for societies. In March, the government of Costa Rica announced that its country has been running on nothing but renewable energy in 2015. Like Iceland, Costa Rica has a large number of volcanoes, and is therefore able to tap into geothermal power. It also depends heavily on hydroelectricity, which is fuelled by heavy rainfall. Nonetheless, the achievement is significant in the message that it conveys: 100% renewable is possible. At the ICLEI World Congress 2015, cities will be explaining how they are redesigning their approaches to energy demand, generation and storage using intelligent concepts, smart grids, smart policies and technologies. They will discuss how to set the kinds of ambitious targets that Vancouver has chosen, and how to stimulate green growth while overcoming technical, legislative, economic and political challenges. The Congress will provide the springboard for many more cities to work for a truly sustainable 100 percent renewable energy future.